Outdoor showers can be built at home with a few irrigation fittings and some PVC pipe. This outdoor shower can be placed anywhere you need it and it can be moved very easily, if you need to shower in a different spot. You can choose whichever shower head you would like to shower with for the homemade outdoor shower. 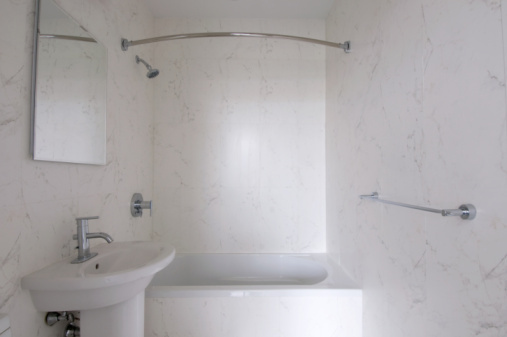 If needed, a permanent covering or wall around the shower can be added at anytime. Outdoor showers can be very convenient if you work a lot in your yard. Cut one piece of PVC pipe to 6 feet in length with your pipe cutters. Cut three pieces of PVC pipe 3 feet each. Cut each of the 3-foot pieces in half and reconnect using a T coupling. Attach two of the 3-foot pieces together using the third piece. This will make a capital "H" shape. Make sure the T coupling on the middle piece is pointing towards the sky when resting on the ground. Attach the 6-foot piece of PVC pipe to the middle 3-foot piece by using the T coupling. Connect one 90-degree coupling to the top of the 6-foot piece. 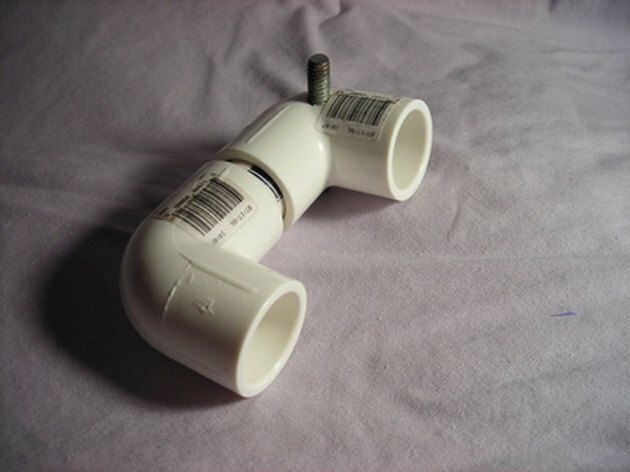 Cut a 4-inch piece of PVC pipe and connect it to the 90-degree coupling. Connect the other 90-degree coupling to the other side of the 4-inch piece. Attach the 3/4-inch female adapter to the 90-degree coupling that is facing down. Attach the shower head to the female adapter by twisting the threaded end of the shower head clockwise into the female adapter's thread. Attach the 3/4-inch end caps to three of the open ends, or "legs," of the shower. Connect the 1-inch female adapter that reduces to 3/4 inch to the last open end of the legs of the shower. Connect a water hose to the female adapter on the leg and turn the water on at the valve. Water will flow through the pipe and out of the shower head, as it would in your home. Sarah Davis has been a culinologist since 1998. She has worked in the offices and labs of Burger King, Tyson Foods and Cargill developing and writing recipes. She currently owns WISH Events in Atlanta. She and her husband also buy homes to rejuvenate and resell. She holds degrees from Johnson and Wales University in culinary arts and the University of Georgia in food science.